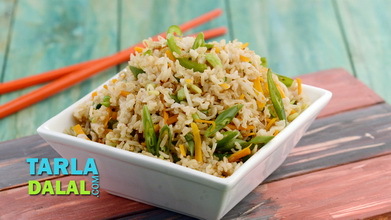 Bored of the regular vegetable fried rice? 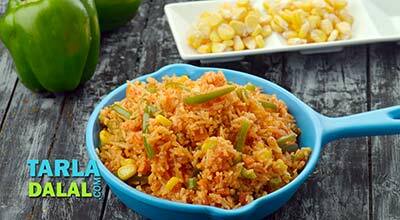 try the 5 spice fried rice instead. 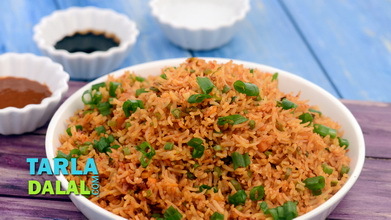 Steamed chinese rice is tossed in with chopped spring onions, bean sprouts, paneer and of course the secret ingredient of this recipe -- 5 spice powder. Enjoy piping hot! 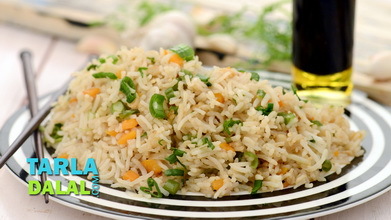 Heat the oil in a non-stick pan, add the spring onion whites and sauté on a medium flame for 1 to 2 minutes. 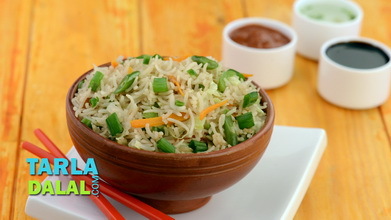 Add the bean sprouts and paneer, mix well and cook on a high flame for 1 minute. 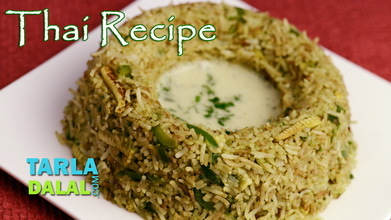 Add the salt and 5 spice powder, mix well and cook on a high flame for 1 minute, while stirring continuously. 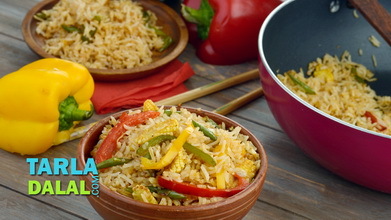 Add the cooked rice, mix well and cook on a high flame for 1 to 2 minutes, while stirring occasionally. Transfer into an oven safe bowl, cover with an aluminum foil and bake in a pre-heated oven at 200°c (400°f) for 10 minutes.